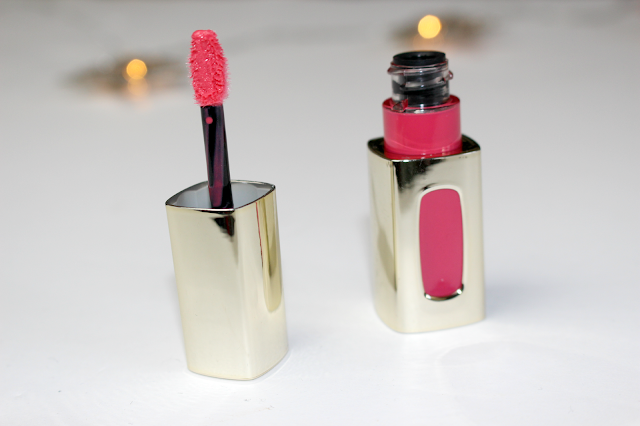 Get A L'oreal Liquid Lipstick Better Than Half Price! If you read my blog/twitter/facebook etc you have probably noticed how much I LOVE a good bargain. Sometimes I see an offer that is so good I just can't say no no matter how skint I may be.... this was one of those offers! It was over a year ago now that I first blogged about the L'oreal L'Extraordinaire Liquid Lipsticks and how much I had fallen in love with them (see that glowing review - here) and since then my fuchsia drama baby has been used over and over again, becoming a regular in my make-up bag. So seeing this HUGE saving on one of my favourite L'oreal products ever had me squealing with excitement. 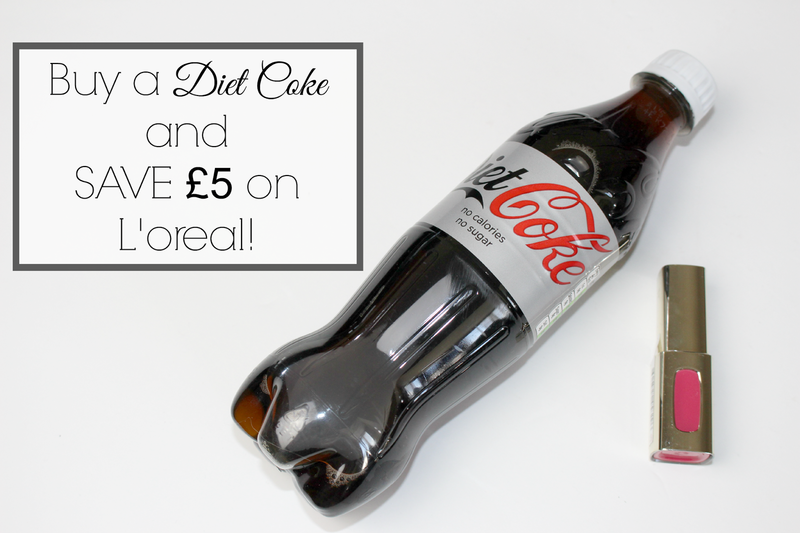 The make-up giant has teamed up with the drinks giant that is Coca Cola - so at Boots now when you buy a 500ml bottle of diet coke you SAVE £5 on your liquid lipstick! I decided to go with the nice summery shade 'Rose Symphony' (201), seeing as we are soooo nearly there - summer is on the way people! 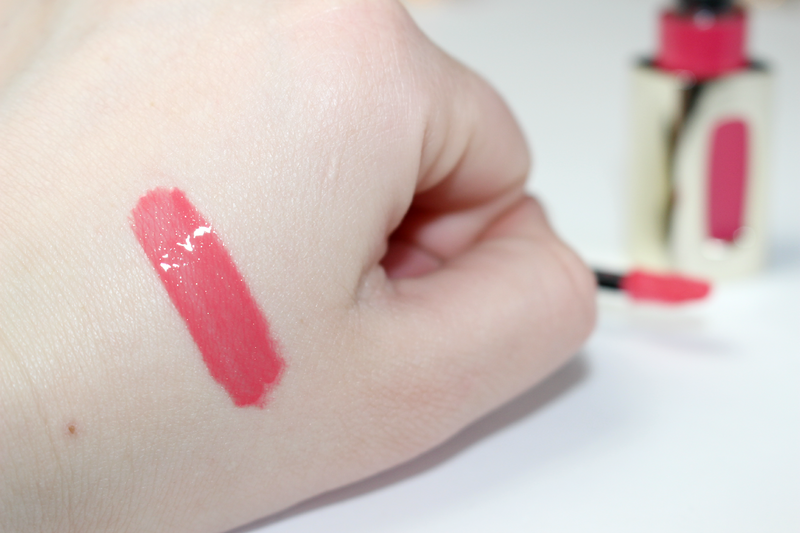 This is a gorgeous pinky shade with a sight coral tint, the formula to these is amazing and I'm so happy I have another one added to my collection.... in fact... I feel like I should go back and take advantage of this offer while it lasts really! This offer is valid in Boots stores nationwide from April 29th - 26th May! Ooh thanks so much for posting this! I'll definitely be doing this :). Happy 2nd Birthday A Yellow Brick Blog!